Crow guides the magic of healing and the change in consciousness that will bring about a new reality and dispel "dis-ease" or illness. You can rest assured that whenever crows are around, magic is nearby and you are about to experience a change in consciousness. Crow can give you the courage to enter the darkness of the void, which is the home of all that is not yet in form. If you have a crow as a totem, you need to be willing to "walk your talk and speak your truth." 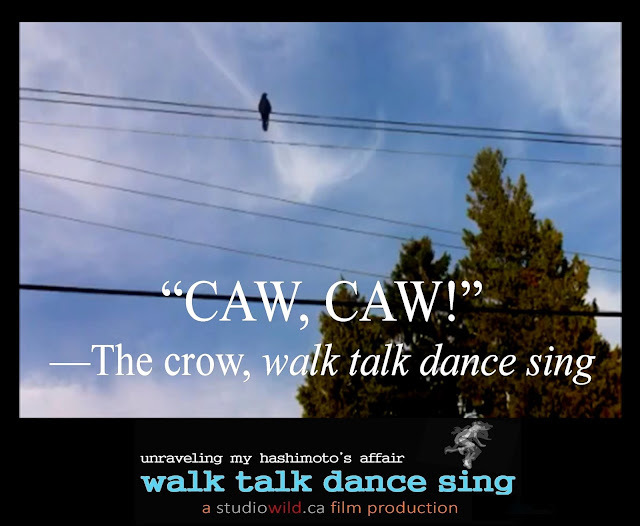 You must put aside your fear of being a voice in the wilderness and "caw" the shots as you see them. Crow is an omen of change. If she keeps appearing to you she may be telling you that you have a powerful voice when addressing issues that you do not quite understand or feel that they are out of balance. When you meet crow, she could be telling you that there will be changes in your life and that possibly you should step by the usual way you view reality and look into the inner realms …"walk your talk"…be prepared to let go of your old thinking and embrace a new way of viewing yourself and the world. 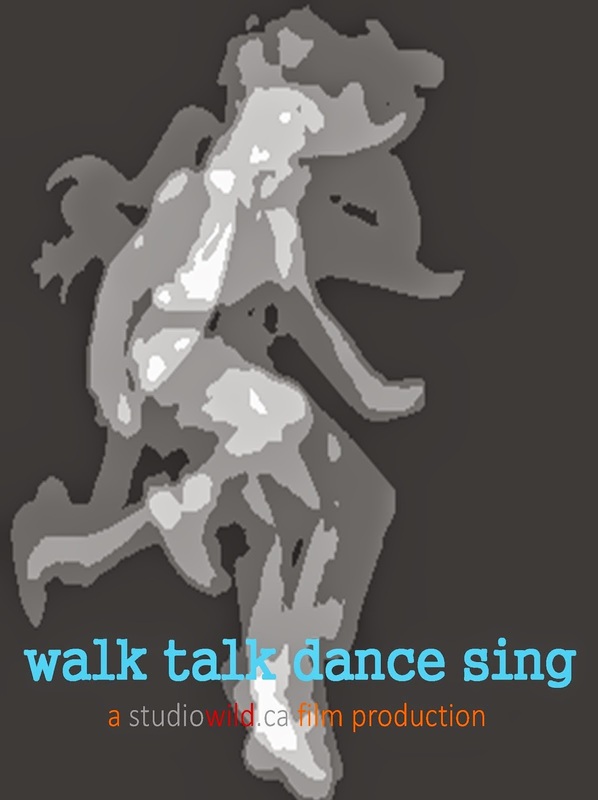 Walk Talk Dance Sing is here. It's true, we tend to let things "build up." We not only accumulate stuff in our closets, desks, cupboards, etc, but in our bodies as well. It's also true however that we actually have a natural response to "shake things off" that we seem to have forgotten over time. Ever notice how your body will tremble after a "close call" when you're driving? Or the notes in your hand shake while you are giving a speech to a large audience? This is the adrenals freaking out! 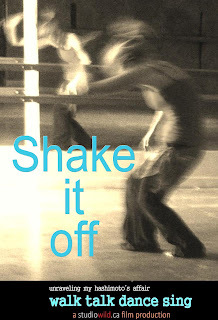 In our intelligent "fight, flight, freeze"response, there is an immediate "shake off" to stress. Children do this "shake off" instinctively and "normally" (physically and vocally)---until they are led to believe that it's wrong, and society's programming tells them that it's much better to HANG ON to all that stress. So, what happens to all that stress that gets tucked away? Stress will literally get trapped in your body, where you might feel tight shallow breathing, some intense muscular tension, migraine headaches, stomach upset, digestive issues, episodes of anxiety, and a myriad of other physical maladies--which are all caused by the presence of stress hormones --and our energy, rhythm, balance-- run amok, sequestered to dark corners, choked, and gone haywire. This "shake off" is the body's natural response to stress. If standing is not comfortable, you can do this lying down. Simply raise your arms towards the ceiling, in front of your chest, and shake out the hands, up through the arms, and into the shoulder. You can shake out your legs by keeping them on the floor and gently bouncing them and/or rolling them in and out. You'll figure this out ...move intuitively, with the breath, and never "push or strain". Be kind. Tip: If you look and feel ridiculous, you're doing it right! I bet you will feel better after 30 seconds of "letting things go"! In the world of energetic wellness we learn, "the moment you change the form, you change the content"-- meaning the entire system ( endocrine, nervous, immune, emotional) sets off with new instructions, new signals start firing off, something new unfolds and energy is set in motion. "Walk Talk Dance Sing," the movie about thyroid disease, is here. Visit us on Facebook and here.